Sunday night at the Golden Globes, actress Meryl Streep gave an anti-Trump speech when she accepted the Cecil B. DeMille award. 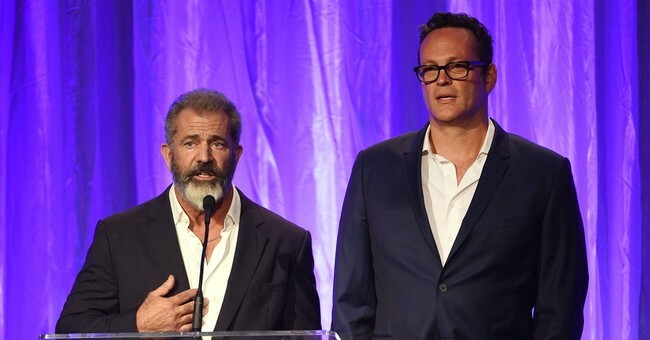 While most of Hollywood and the press were smitten by Streep, calling the speech "powerful" and "brave," at least two celebrities were not: Mel Gibson and Vince Vaughn. A somewhat hilarious screenshot caught the two in various stages of "side-eye" during Streep's acceptance speech. Vaughn in particular looks as though he's about to explode, whereas Gibson just kind of looks annoyed. Gibson directed Hacksaw Ridge, which was nominated for three awards. Vaughn played the role of a drill sergeant in the film. Gibson has been known as a rare outspoken Hollywood conservative for quite a while, and Vaughn is a libertarian.